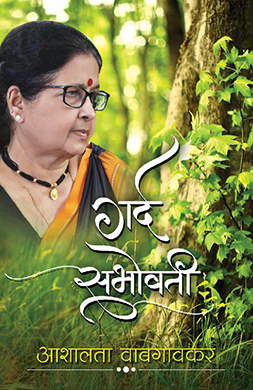 ‘Avahanam na Janami’, a work authored by Dr. Aniruddha Dhairyadhar Joshi is a conversation, intimate and honest - one that any of us common bhaktas wants to or rather ought to have with himself, with his Sadguru, with his closest friend. As we go through life, alternating between strife and success, hope and despair, joy and sorrow we need a hand to hold on to and share our happiness, a hand that reassures, a hand that wipes tears. We do cry out ardently, we know we can trust, we pour out our heart and reach out in love and also say ‘Avahanam na Janami’. Since many years, Dr. Aniruddha Dhairyadhar Joshi better known as Aniruddha Bapu (M.D., Medicine) is working as researcher-mentor and expert coach of Ancient Indian Martial Arts. Dr. Aniruddha Joshi, a successful rheumatologist has learnt different forms and types of ancient Indian Martial Arts through his deep study of this subject and has now made them open for all. The very subject of ancient Indian Martial Arts seems enigmatic from its name itself and has been attracting curiosity of foreigners over last many centuries. In India until these ancient Indian Martial Arts were honored and were at their zenith India was at its peak of glory and riches. The young generation used to get the training of these ancient Indian Martial Arts from their elders due to which India as a country was very strong and no enemy country could dare to intimidate us. But the importance of these ancient Indian Martial Arts started dwindling with time and India had to bear the brunt of invasions and attacks from foreign powers. 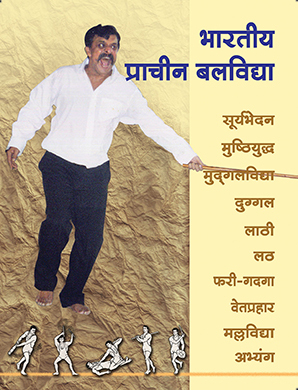 Hence Dr. Aniruddha Joshi has started his work to revive these extinct ancient Indian Martial Arts. Dr. Aniruddha Joshi appointed Ravindrasinh Manjrekar as first 'Acharya' of ancient Indian Martial Arts. Bapu also taught Acharya these Martial Arts himself.  Now under the guidance of Dr. Aniruddha Joshi and the personal coaching of Acharya Ravindrasinh, the training classes of these ancient Indian Martial Arts are being conducted. The various forms and types of ancient Indian Martial Arts which are taught by Bapu to Acharya and are being further taught in these training classes have been compiled in this textbook. 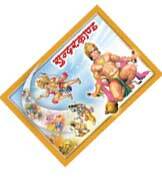 Publisher: Lotus Publications Pvt. Ltd.
हे पुस्तक संवेदनशील मनाचं व्यक्तीचं प्रतिबिंब आहे. आजूबाजूच्या दुलर्क्षित केलेल्या घटनांकडे बघून... त्यांचा अंदाज बांधून त्यावर लेखिका आशाताई वाबगावकर यांनी स्वत:चे विचार व्यक्त केले आहेत. अनेक गोष्टींना वेगळ्या नजरेने....वेगळया दृष्टिकोनातून पाहण्याचा अंदाज हा आपल्याला स्पर्शून जातो. एखाद्या गायकाने रागांमधून सुरांचं मंथन आपल्यासमोर पेश करावं त्या अनुभवांच्या संगीताचे राग आळवत त्यांनी आपल्या जगण्याचं मंथन आपल्यासमोर मांडलं आहे अन्‌ हे लिखाण त्यांच्या नावाप्रमाणेच आशादायी आहे, प्रफुल्लित करणारं आहे. न्यायवैद्यक शास्त्र ह्याबाबत सामान्य माणसांना जरी प्रचंड उत्सुकता असली तरी त्यातील फारच थोडी माहिती असते. डॉ.वसुधा आपटे ह्या न्यायवैद्यक शास्त्रातील प्राध्यापिका व तज्ज्ञ आहेत. अनेक किचकट व अवघड वाटणार्‍या प्रकरणांमध्ये त्यांनी नायर हॉस्पिटल, मुंबई येथे काम करत असताना न्यायालयास मदत केली आहे. जे ज्ञान त्या वैद्यकीय विद्यार्थ्यांना देत असत किंवा न्यायालयात त्या ज्ञानाच्या आधारे साक्ष देत असत, ते सर्व ज्ञान अतिशय साध्यासोप्या व सर्वसामान्यांना समजेल अशा पद्धतीने त्यांनी लिहून सर्वांना उपलब्ध करून दिलेले आहे. ह्या विषयावर इंग्रजीत अनेक पुस्तके आहेत परंतु मराठीमध्ये मात्र ह्या प्रकारचे हे पहिलेच पुस्तक असावे असे वाटते. 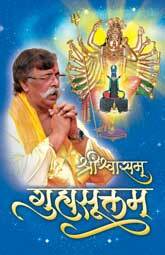 Publisher: Shree Anjaneya Prakashan Pvt. 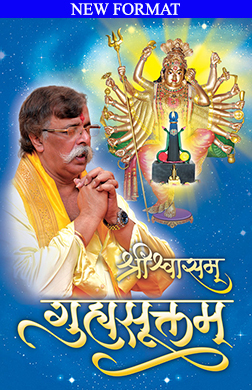 Ltd.
Bharatiya Bhasha Sangam has been founded to foster love among the people speaking different Indian languages under the guidance of Sadguru Shree Aniruddha Bapu. India has many States and in each state, a different language is spoken. This book - "Bharatiya Bhasha Sangam - Travel Guide" is published with the intent of making possible atleast the primary conversation with the locals while traveling across the states of India. The book contains a collection of all the important words and sentences required during our travel. As of now the book features translations in 9 Indian languages. We hope that this book would prove to be helpful during your travel. Ramrajya - Parampujya Sadguru Shree Aniruddha Bapu's (Dr. Aniruddhasinh Joshi) Pravachan held on the 6th of May, 2010 at Shree Harigurugram on the subject of 'Ramrajya'. ગુજરાતી - રામરાજ્ય - પરમપૂજ્ય સદ્‍ગુરુ શ્રી અનિરુધ્ધ બાપુનુ (ડૉ. અનિરુધ્ધ જોશી) ગુરુવાર તારીખ-૦૬ મે ૨૦૧૦ ના દિવસે શ્રીહરિગુરુગ્રામમાં ‘રામરાજ્ય’ આ વિષય પર થયેલ પ્રવચન. परमपूज्य सद्गुरु श्री अनिरुद्ध बापूजी (डॉ. अनिरुद्धसिंह जोशी) का गुरुवार ०६ मई २०१० को श्रीहरिगुरुग्राम में ’रामराज्य’ इस विषयापर हुआ प्रवचन. रामराज्य - परमपूज्य सद्गुरु श्री अनिरुद्ध बापू (डॉ. अनिरुद्ध जोशी) ह्यांचे गुरुवार दि. ०६ मे २०१० रोजी श्रीहरिगुरुग्राम येथे ’रामराज्य’ ह्या विषयावर झालेले प्रवचन. ૧૯૨૫ની સાલના દશેરાના શુભદિને રાષ્ટ્રીય સ્વયંસેવક સંઘ ની સ્થાપના થઈ. ડૉ. કેશવ બળીરામ હેડગેવારજીએ નેવું વર્ષ પૂર્વે જેનું બીજારોપણ કરેલું એ વટવૃક્ષની આજે કેટકેટલી શાખાઓ વિસ્તરી છે, એના જે વિધવિધ પર્ણો પલ્લવિત થયાં છે એની ગણતરી કરવી કઠિન છે. પરંતુ આજે ભારતીય જનમાનસમાં આ સંગઠનના મૂળ ઊંડે સુધી વિસ્તરેલાં છે અને એ પણ સમર્થ અને સશક્તપણે અને આજે આ સંગઠન વટવૃક્ષની ગતિ અને શૈલી પ્રમાણે વિકાસ કરી રહ્યું છે. આ સંગઠનનો પ્રસાર માત્ર ભારત પૂરતો જ મર્યાદિત નથી રહ્યો પણ પરદેશમાં સુધ્ધાં જે જે સ્થળે ભારતીય વસેલ છે ત્યાં ત્યાં એની છાયા વિસ્તરી છે. સંઘની વિદેશમાંની શાખાઓ વિદેશવાસી ભારતીયોને પોતાની માતૃભૂમિ સાથે, મૂળભૂત સંસ્કૃતિ સાથે મજબૂત રીતે સાંકળી રાખનારી એક કડીરુપ છે. રાષ્ટ્રીય સ્વયંસેવક સંઘ એક સંસ્થા માત્ર નથી, એ સ્વદેશ સાથે સંયોજન કરનારી જીવનદોર છે! પરંપરા છે! 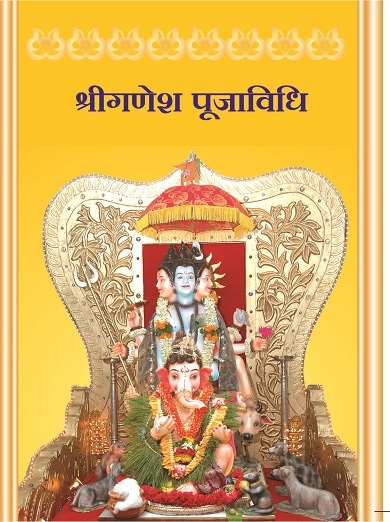 श्री महादुर्गेश्वर प्रपत्ती - श्रावण महिन्याच्या दर सोमवारी सूर्यास्तानंतर फक्त पुरूषांनीच ’श्री महादुर्गेश्वर प्रपत्ती’ करावी. ही प्रपत्ती सामूहिक रित्या करावी; मात्र एकट्याने केली तरी चालू शकेल. त्याबद्दलची संपूर्ण माहिती या पुस्तिकेत देण्यात आली आहे. त्यात, मांडणी, प्रपत्तीच्या तबकातील सामग्री, प्रपत्ती विधि, कथा तसेच आरती आहे. ‘श्रीशब्दध्यानयोग’ ही ध्यानाच्या माध्यमातून मनुष्याचे प्रत्येक चक्र संतुलित करणारी सहजसुन्दर क्रिया आहे म्हणजेच मानवी देहातील सप्तचक्रे आणि बाह्य सृष्टीतील सप्तचक्रे यांचे परस्परांमध्ये समतोल-संतुलन घडविणारी क्रिया आहे.‘श्रीशब्दध्यानयोग’ मानवाची वर्तमानकाळातील सप्तचक्रे व विश्वातील इतर स्थानांची सप्तचक्रे ह्यांमध्ये संतुलन उत्पन्न करून मानवाचा भविष्यकाल सुखी, सुंदर व सामर्थ्यशाली बनवितो. 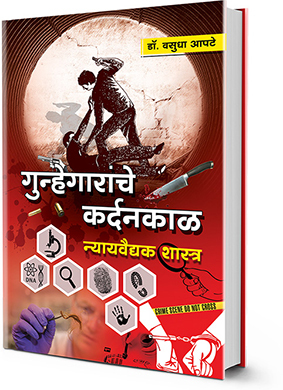 सारांश, ‘श्रीशब्दध्यानयोग’ मानवाचा अभ्युदय (सर्वांगीण विकास) घडवून आणतो. Going by the increasing trend of disasters happening around us be its natural or manmade, it would, in due course of time, become incumbent upon every citizen of this country to be aware of how to respond to and handle disasters. This textbook facilitates this. On the 11th of September 2001, i.e. no sooner had the third millenium begun, than every nation in the world began to reflect over its protection and to consider afresh, its future political policies. ……. The misery inflicted by terrorist activity that India had been suffering through many years, boomed so powerfully into the face of the U.S.A. that it ended up scorching it completely. And the U.S.A., that had hitherto constantly turned a blind eye towards the evidence presented by India, was forced to roll up its sleeves and prepare to fight terrorism, the very terrorism that it had once nurtured and fostered.